The SwimLife 17 SwimExpert is a high performance swim spa for the individual athlete who still wants to stay in touch with their family. It is a family pool, hot tub and aquatic gym all-in-one providing a great training center everyone to enjoy. 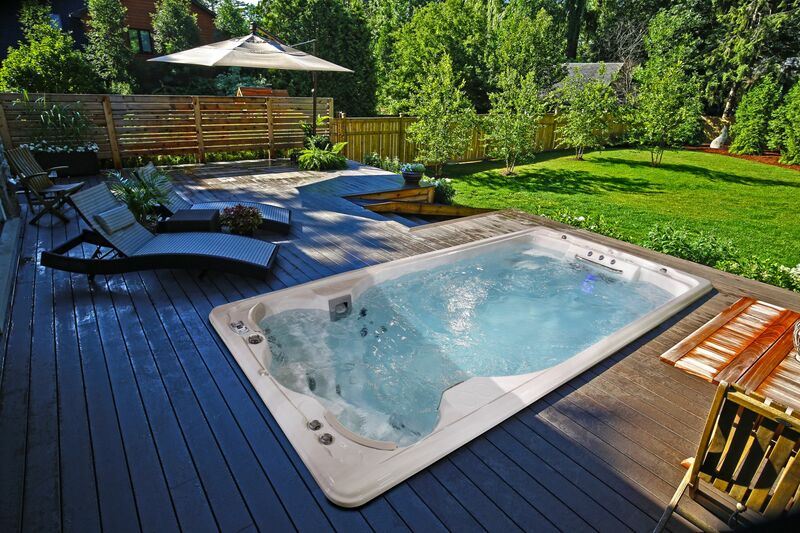 Imagine never having to turn, touch or push off from any wall, the SwimLife 17 SwimExpert from Jacuzzi offers the perfect endless swimming pool experience. 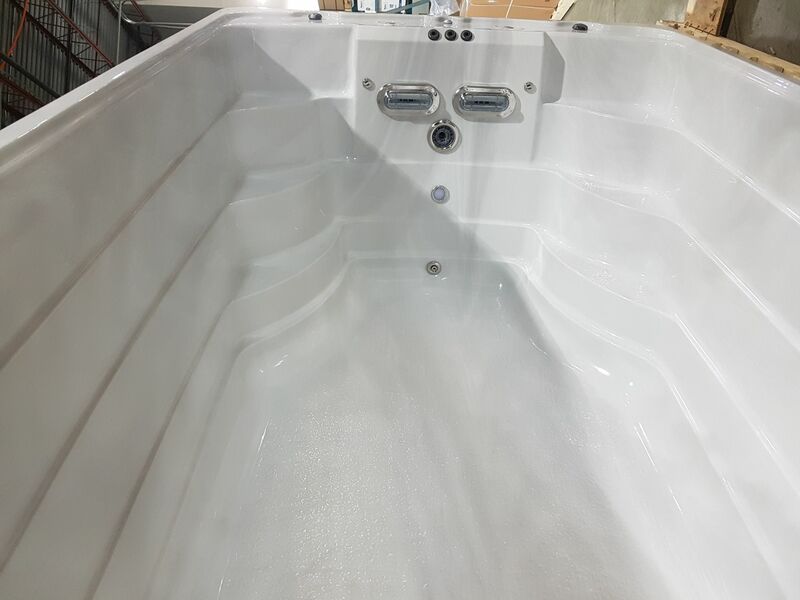 At 17ft long it has a longer swimming chamber than our 14ft models and is ideal for those over 1.87m tall. The swimming current is delivered through two patented AquaCurrent® swim jets which provide a wider, deeper, smoother flow reminisant of swimming in a river. This natural flow pattern provides minimal surface disruption allowing you to focus on your stroke. The swim current is fully adjustable to your personal swim level using the WaveRider controls that deliver a current from 0 – 11mph, enough for even a competitive swimmer to enjoy. The SwimChannel Shell Design helps to keep you within the swim lane and produces no reflective wave to deliver the perfect endless swimming pool experience. 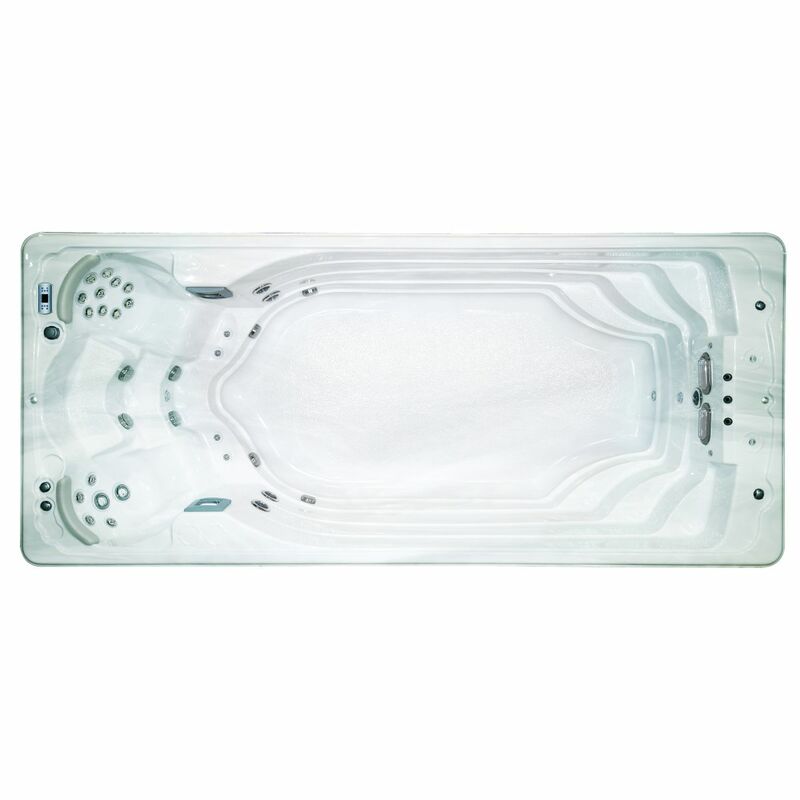 The SwimExpert swim spas also provide the perfect place for aquatic circuit training, as the included accessories allow circuits that offer both aerobic and strengthening exercises for a complete workout. 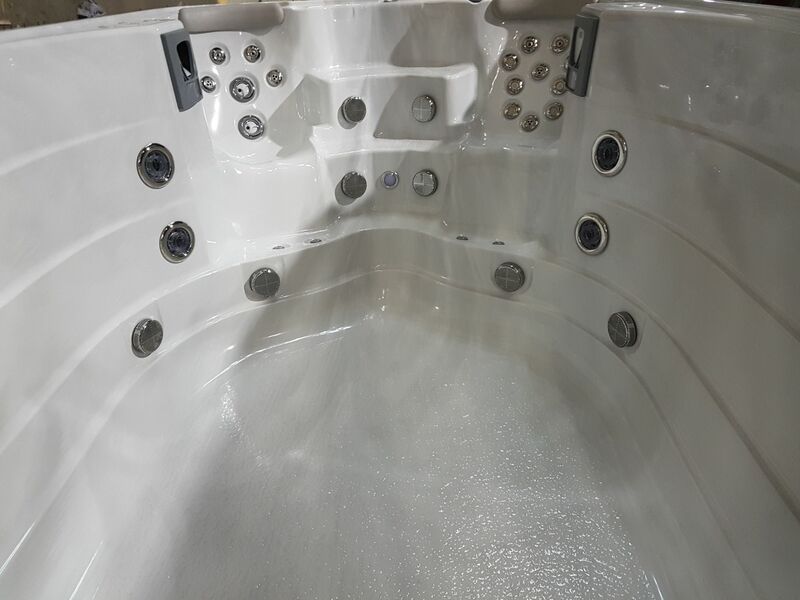 In addition two hydrotherapy seats feature an ergonomic design and incorporate E-Class jets that use the perfect mixture of air and water designed to give a balance of deep and soft tissue massage across a variety of different muscle groups.